Lake George is the summer home of many people we never see. 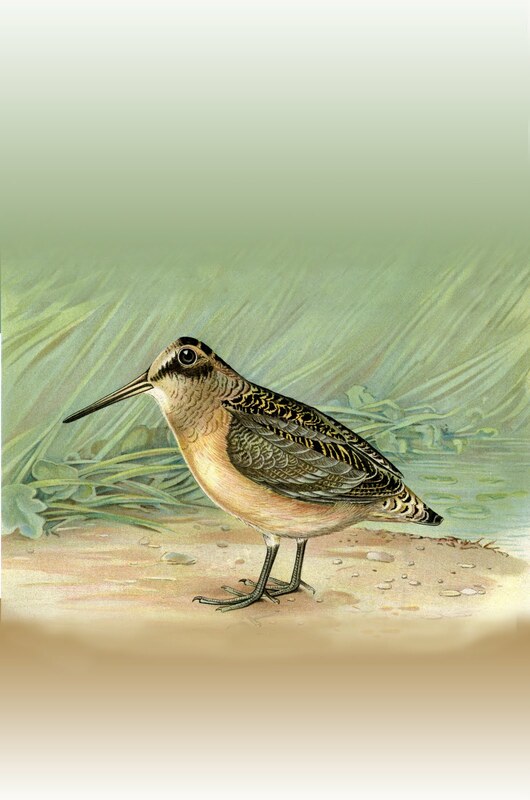 The woodcock (otherwise known as the timberdoodle, bog sucker, mud bat, big eyes, and, in the south, as becasse de nuit, or nightswipe) is a game bird that comes to Lake George in early spring; it stays no longer than six or seven months and departs before the first frost. Typical of the summer resident, the woodcock returns to the same place every year. Its preferred habitat is abandoned farmland. The woodcock lives on a diet of worms, which he consumes in amounts equal to his weight every day, and as boys who fish will tell you, moist, poorly drained fields are the best places to find them. The nesting hen also likes the shrubby areas and young groves of oaks and maples that grow up on the edges of old fields. I would not have known of the woodcock’s existence here had not a friend who is knowledgeable about these things told me that the woodcock’s preferences in food and shelter matched the conditions of the fields between our house and barn, alerting us to its presence. Actually, the woodcock does not descend so much as he falls, like a leaf at first, then like a rock dropped to illustrate the principals of gravity. He then returns to the spot from whence he came, and repeats the entire ritual. Now that the hours of daylight have increased, we have had better luck catching sight of him as he flies out of the juniper and circles the field. “All nature is so full that that district produces the most variety that is most examined,” wrote Gilbert White, the 18th century English parson who spent most of his life observing nature in one parish. White would have appreciated the fact that one of nature’s most elusive creatures can be found in our own backyards. Like the Adirondack forest itself, New York’s beaver population had been harvested almost to the point of extinction before Albany took steps to revive it. It’s especially apt, then, that the coalition of groups lobbying to rescue the state’s Environmental Protection Fund from the Governor’s budget cuts has chosen the beaver to be its “spokesman” for the cause. The beaver, of course, is the official animal of New York State. When government throws money at a problem, on occasion results ensue. Just not the results government intended. For the second spring in a row, the state Department of Environmental Conservation extended the trapping season for beavers. 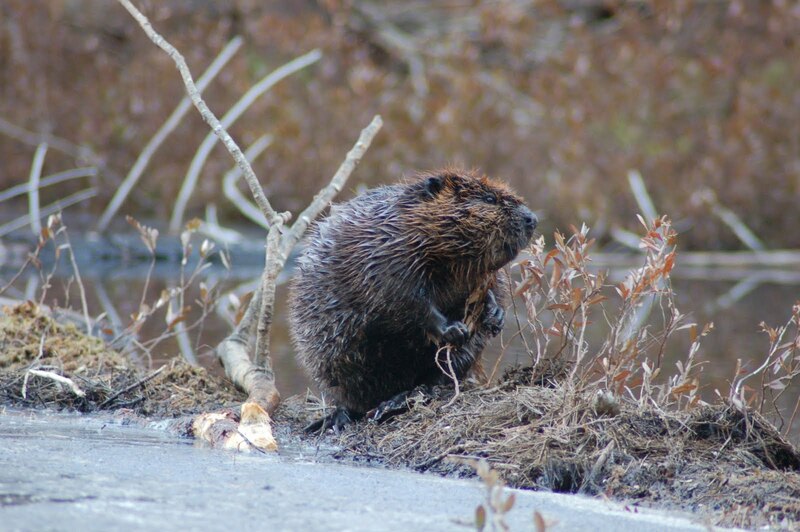 As farmers and homeowners know, New York has too many beavers. Less than a century ago, however, the beaver was virtually extinct in New York State, and the legislature voted to finance a program to repatriate them to the Adirondacks. Unlike programs to restock the elk and the moose, this one worked. Radford was the individual most responsible for a program begun three years earlier to restock the Adirondacks with moose. 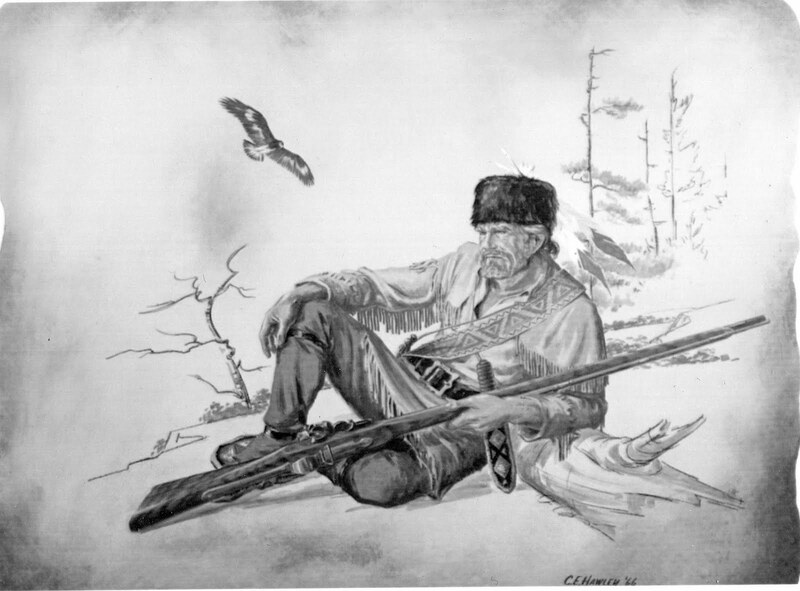 Shortly after his victory on behalf of the beaver, he disappeared, reportedly in the Arctic, killed by his eskimo guides. The beaver was so successful in re-establishing himself in New York State that in 1975 he became the official state animal. Oregon objected, asserting that it had already claimed the beaver for itself. The editor of The Conservationist Magazine tried to soothe bad tempers on both sides by saying “Thanks to conservation there are enough beavers to provide state mammals for both states.” More than enough, apparently. Photo of beaver from Lake George Mirror files. Earl Woodward, a school teacher from Ohio, decided that Warren County would be a good place to situate western style dude ranches. Art Bensen, a telephone company employee from Staten Island, was no less certain that North Hudson was a suitable location for an old west theme park, which he called Frontier Town. If the relationship between the wild west and the southern Adirondacks strikes you as casual at best, a moment’s reflection will clarify matters. There is, of course, as little connection between cowboys and the Adirondack native as there is between the guide-boat builder and Santa Claus and Mother Goose, sources of inspiration for other well-known Adirondack attractions. » Continue Reading. When my wife Lisa and I were considering purchasing the Lake George Mirror, among the first people we consulted was Chuck Hawley, the artist, politician and activist who died on March 9 at the age of 86. Hawley was a part of my life for as long as I can remember. He was at my engagement party and my father’s funeral. 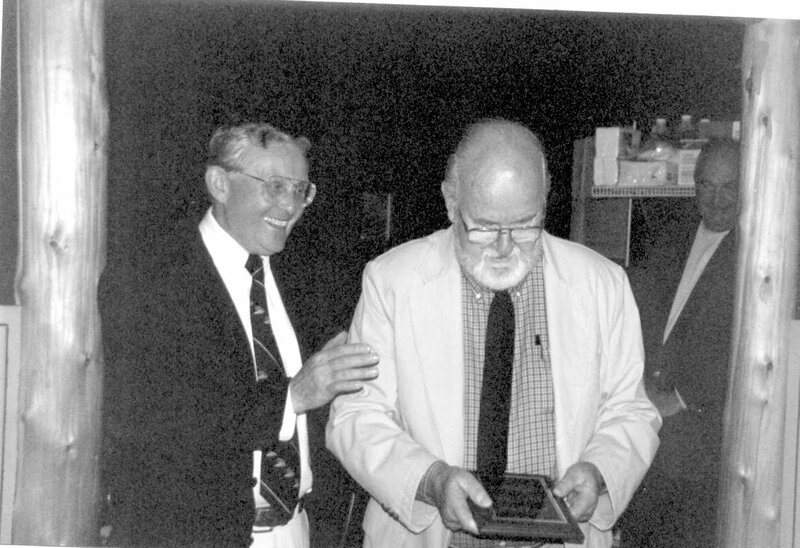 He was Lake George’s supervisor and a member of the County board when my father published the Warrensburg-Lake George News, and the two developed a mutually useful relationship. He’d tell my father what would happen before it happened – information prized by a weekly newspaper editor when he’s competing with a daily, as I’ve learned for myself. In 1998, I wrote a profile of Chuck for the Lake George Mirror, which I reproduce here. About twenty years ago, some hikers on Black Mountain discovered a slab of rockface inscribed: ‘R.Rogers.’ Whether this was in fact the autograph of Robert Rogers, as the hikers believed, is still subject to debate, but there is no doubt that many people around Lake George hoped that it was authentic. Rogers and his Rangers have always appealed to our imaginations, perhaps because they were the first identifiably American heroes. Chuck Hawley, whose painting of a Ranger is reproduced here, has done more than anyone else in our region to shape the popular image of the Rangers. The painting was one of a series depicting the Rangers commissioned by Harold Veeder in 1966 for the newly constructed Holiday Inn. They have been republished often in newspapers, magazines and books, and reproductions are best sellers at Fort William Henry and at the Lake George Historical Association’s shop in the old Court House. 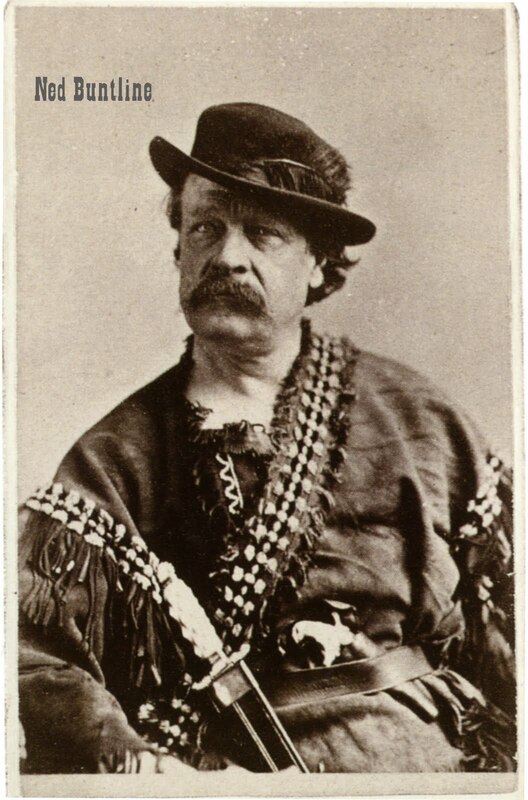 Hawley wanted the portraits to be as historically accurate as possible; he spent months in the libraries researching the Rangers’ dress, habits and weapons; he read contemporary accounts and picked the brains of historians like Harrison Bird, the author of numerous books about the era, who served with Hawley on the Lake George Park Commission. When he began the series, Hawley was Supervisor for the Town of Lake George, and the model for the portrait reproduced here was his colleague on the Warren County Board of Supervisors, Earl Bump, the Supervisor from Horicon. Another model was Howard MacDonald, for many years a member of the Lake George Village Board of Trustees and the founder of Lake George’s Little League. Despite the fact that he has been both a public official and a painter (as well as a graphic designer and the owner of an advertising agency) Hawley has really had only one career: Lake George. It is a career for which he was in some sense predestined. Stuart Hawley, his father, was Warren County Clerk for twenty-five years; in 1950 he was elected to the New York State Assembly and served through 1958, when he was succeeded by Richard Bartlett. Assemblyman Hawley introduced the legislation authorizing the construction of the Prospect Mountain Highway. Fred Hawley, who was supervisor of Lake George from 1918 through 1921, was Chuck’s grandfather. Hawley’s deep roots in the area (his own family came to Lake George a few decades after Rogers departed at the end of the French and Indian Wars) may have helped to make him an unusually farsighted public official. In 1997, Hawley gave up his seat on the Lake George Park Commission, which he had occupied for thirty years, ten of them as chairman. In the late 1970s, worried that heavy development along the shores would cause the lake to lose its famous translucent clarity, and frustrated by the Park Commission’s lack of authority and funding, Hawley campaigned for the creation of a task force that would study the challenges facing Lake George and suggest approaches for meeting them. Although Hawley has retired from official life, his interest in Lake George is undiminished. At his home on Pine Point, the lake is never out of view, and it has survived better than he expected. He’s pleased that the experimental use of sonar is under consideration, having fought to use that means to eradicate milfoil since the late 1980s. In 1971 he wondered aloud to a reporter from the Lake George Mirror why the Lake George business district faced away from the lake; in the late 1950s he and the late Alex Muratori developed a plan to build a boardwalk along the lake. He’s glad that one is underway. And, of course, he still paints. Hawley’s landscapes of an unspoiled Lake George have been powerful tools for its preservation. Chuck Hawley’s painting of Robert Rogers, based on Warren County Board of Supervisors Chairman Earl Bump. Hawley receiving Lake George’s Wilbur Dow Award from Dow’s son Bill, president of the Lake George Steamboat Company, in 2002. Going Solar:Another Way to Help Save the Adirondacks? If global warming is ever to be reversed, or even slowed, Americans must consume less of the energy produced by coal fired power plants. Wind and solar power are among the alternatives New York State is promoting, said Adele Ferranti, a Queensbury resident who’s a project manager at New York State’s Energy Research and Development Authority (NYSERDA). More and more people are taking advantage of alternative technologies, Ferranti said. Among the Lake George residents reducing carbon footprints are Rebecca and Candida Smith. The daughters of the late sculptor David Smith, they live part time at the home and studio he created in the hills above Bolton Landing. A few years ago, they contracted with GroSolar, a Vermont company recommended by author-turned-environmental activist Bill McKibben, to install solar energy systems in the property’s three buildings. “Global warming caused by human activities was a problem I had been aware of for a long time but it was too big, complicated and scary for me to bear thinking about for long,” said Rebecca Smith. According to NYSERDA’s Adele Ferranti, New York State offers financial incentives to homeowners like the Smiths to encourage the use of alternative energy. “Our goal is to build an infrastructure that will not only make solar power more affordable but reduce the consumption of fossil fuels,” Ferrante said. Nevertheless, the initial investment is expensive. Whether an alternative energy system is cost-effective depends upon how one determines value, groSolar’s Eliot Goodwin suggests. “Is a car cost effective? Is a marble countertop cost effective? Is a pool cost effective? Is a hot tub cost effective? Is it cost effective to have no mountain tops left from coal mining? Is it cost effective to no longer have clean air to breathe?” he asks. Short-term costs are offset by long-term savings, and, of course, by environmental benefits, said Rebecca Smith. According to Fred Brown, the property’s year-round caretaker, approximately 80 flat solar panels were installed on the roofs of three buildings last spring. The power is not stored, but, rather, either used immediately or sent backwards through the meter, creating dollar for dollar credits in a process known as net-metering. “We send power to the grid and the meter runs backward,” said Brown. For Rebecca Smith, the environmental benefits of using alternative energy are local as well as global. Every year, more New Yorkers are adopting that attitude, said Eliot Goodwin. Photo: A solar-powered workshop on the David Smith estate in Bolton Landing. Warren County’s Supervisors may be wavering on whether to preserve or condemn the two buildings that remain standing at Gaslight Village, but the time for a decision is fast approaching. A $200,000 grant has been awarded to the three environmental organizations that own an easement on all but 2.5 acres of the Lake George property to demolish Charleys Saloon and some smaller structures this summer, and the county must decide whether it wants that grant to also pay for the demolition of Gaslight Village. “I know there will be unhappy people whichever way we go,” said Supervisor Bill Kenny, who chairs a committee of Supervisors monitoring the project, which will include a park and water pollution controls. Warren County, the Town and the Village of Lake George have until the end of May to reach a decision, said Warren County attorney Paul Dusek. By then, Requests for Proposals will have been issued soliciting bids for the demolition of some or all buildings. If the Calvacade of Cars building and the Opera House are omitted from the bids, they will remain standing. The Opera House, which Warren County Superintendent of Public Works Bill Lamy characterized as “not safe” and structurally unsound, was expected to be designated for destruction by the Warren County Board of Supervisors at its February meeting. In fact, a resolution had been drafted for the Supervisors to approve agreeing to the demolition of the Opera House. Instead, and despite Lamy’s analysis, the Supervisors voted to retain both buildings. The vote dismayed Lake George Village Mayor Bob Blais and several Lake George residents and business owners, including Lake George Steamboat Company president Bill Dow, who favor the demolition of the buildings. [Ed. – Read comments from two residents, Betty Spinelli and Joe Stanek, at the Lake George Mirror]. Dow, Fort William Henry Corporation president Bob Flacke and the Lake George Citizens group prefer a plan presented by Mayor Blais at another meeting of county supervisors, held a week later. Blais argued that both buildings should be demolished. “Four engineering studies have indicated that the costs to renovate the buildings into usable meeting space is extensive,” he said. The open space should be used for parking, at least until a study has been undertaken that would identify the best use for the site. If the study recommended the construction of a new building or a pavilion, grants could be sought, said Blais. Lake George Village has been awarded approximately $4.5 million in grants for similar projects in recent years, Blais said. Regardless of the county’s decision about the Gaslight Village buildings, demolition of Charley’s Saloon on the parcel south of West Brook will start in mid-June, following the conclusion of Americade. “New York State’s Department of Transportation will contribute the first $600,00 toward the construction of a storm water treatment complex on the historical wetlands, but the construction schedule has to coincide with work DOT is planning for Route Nine,” explained Peter Bauer, the executive director of The Fund for Lake George. of the storm water management complex will begin after the Adirondack Nationals Car Show in early September. Kenny’s committee held a public hearing on to solicit opinion about the future of the Opera House and the Calvacade of Cars buildings on March 22. It will meet again on April 12 before making a recommendation to the Board of Supervisors. Photo: Buildings at the former Gaslight Village Property in Lake George Village (John Warren photo). Bolton Landing’s F.R. Smith & Sons Marina is not the owner of a 867 square foot strip of land where it has stored fuel tanks for more than five decades, the Appellate Division of the Supreme Court of New York State ruled on March 11. Rather, the property belongs to the marina’s neighbor, the Boathouse Bed and Breakfast, which is owned by Joe and Patti Silipigno. The courts have yet to decide whether an existing tank must be removed immediately, an expensive and time-consuming procedure that could disrupt the sale of gasoline to boaters later this spring. “We acknowledge that the Appellate Court has ruled against us, and we are considering our options,” said Richard Bartlett, whose firm, Bartlett, Pontiff, Stewart & Rhodes, represented F.R. Smith & Sons. Attorneys for F.R. Smith & Sons argued that the marina acquired the land by adverse possession before 1997, when marina owner Fred Smith and Joe Silipigno signed an agreement allowing F.R. Smith to make use of the land in return for discounts on marine services and fuel. “I wanted to be a good neighbor to Freddy, so I agreed to allow him to continue to use the property, and he was elated,” said Silipigno, who bought the Boathouse in 1996. According to Silipigno, that price was $1.73 per gallon, a price he continued to receive until 2001, two years after the death of Fred Smith. In 2001, court papers state, Smith’s staff increased the price of gasoline and informed Silipigno that the marina was not bound by his agreement with Fred Smith. Silipigno then brought a suit against the marina in the hope of having his title to the property affirmed, a move which he said caused ill-will among some residents of Bolton Landing. “I was told, ‘neighbors don’t sue neighbors,’ but I didn’t initiate this. I think there was feeling against me because I’m a flatlander, an outsider, and the Smiths have been here for more than a hundred years,” Silipigno said. Silipigno said that he was also attempting to protect the integrity of the Boathouse property. Built in the early 1900s, the boat house was owned by speed boat racer George Reis, who won the Gold Cup in 1933, 1934 and 1935. 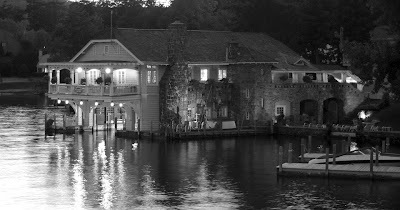 Until his death in 1962, Reis stored El Lagarto, his prize winning boat, at the boat house. El Lagarto is now on display at the Adirondack Museum in Blue Mountain Lake. “This is a historic property which shouldn’t be jeopardized,” said Silipigno. The New York State Supreme Court found that F.R. Smith & Sons failed to prove that it had established title to the strip of land by adverse possession, a ruling that was upheld by the Apellate court in its March 11 decision. Silipigno said that he did not yet know whether F.R. Smith & Sons would be required to reimburse him for his legal fees, which he estimated to be in thousands of dollars. Photo: Boathouse Bed and Breakfast; from Lake George Mirror files. 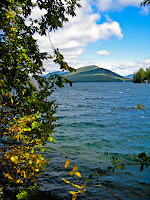 For more news from Lake George, subscribe to the Lake George Mirror. Dr. Dean Cook, a Ticonderoga dentist, has been selected by New York State Governor David Paterson to become the newest member of the Lake George Park Commission. If confirmed by the State Senate, Cook will replace Tom Morehouse, also of Essex County, whose term has expired. The Senate’s Committee on Environmental Conservation voted on February 24 to forward Cook’s nomination to the Senate Finance Committee, which must also approve the Governor’s choice before it is brought before the Senate as a whole. “I’ve devoted forty years to the protection of Lake George and serving as a member of the Lake George Park Commission is an opportunity to continue that work,” said Cook. “I’ve been heartened by the Commission’s efforts to tackle such important issues as stream corridor protections, and I know it has a great potential to contribute to the health of the lake,” he added. Cook’s family is one of the oldest on northern Lake George. An ancestor settled in the area in 1796 and the family’s property once extended from Baldwin to Hague. Today, Cook helps maintain the family’s 250 acres near Heart Bay that were until recently part of a working farm. That property, which includes eight guest cottages, has been hailed as a model of sustainable development. 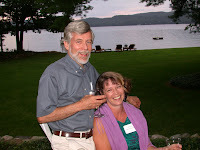 Since returning to Lake George to join his father’s dental practice in the 1970s, Cook has served on the boards of the Adirondack Council, the High Peaks Audubon Society, the Residents Committee to Protect the Adirondacks and the Lake George Land Conservancy. Cook is a 1962 graduate of Ticonderoga Central School. He attended the State University of New York at Buffalo and Seton Hall before entering the University of Pennsylvania, from which he received his degree in Dental Medicine in 1971. He is a veteran of the U.S. Navy. The Lake George Park Commission is composed of nine members from each of the three counties in the Lake George basin and a representative of the Commissioner of Environmental Conservation. If his appointment is approved by the Senate, Cook will serve a term that ends in 2017. Photo: Dr Dean Cook and Terrina Russell-Cook courtesy of the Lake George Land Conservancy. Every small town has its stars. Rolf Ronning was one of Bolton’s. The only child of a wealthy, well-educated couple, he graduated from St. Lawrence University in 1966 and earned two Masters, a doctorate and a law degree before returning to his hometown in 1977. A little more than a decade later, he was in prison, convicted of possessing and conspiring to sell cocaine. Released from prison in 1992, Ronning returned to Bolton Landing. Stripped of his license to practice law, he turned to real estate development, in which he made millions of dollars. Now he’s lost most of those millions. Foreclosure proceedings have been brought against five of his properties, including his lakefront home. The state of Ronning’s financial affairs is threatening to overwhelm his latest project, one that he hopes will redeem his fortune and his reputation: a ski area on one hundred acres near Exit 24 of the Adirondack Northway. “I wish I could appear before the Town Board and the various agencies as a financially secure individual, but the rumors that I am in financial difficulty are true,” said Ronning. Ronning concedes that title to the property, once envisioned as a residential subdivision to be called Westwood Forest, could end up in court. “There’s litigation regarding the validity and enforceability of the mortgages,” said Ronning, guardedly and obscurely. At a Bolton public hearing on a proposal to permit ski centers in two areas currently zoned for rural and residential uses, a letter was read aloud by Supervisor Ron Conover from someone whom Ronning believes is affiliated with one of those companies. “Rolf Ronning is not capable of handling a ski resort as he hasn’t the proper funds. He owes the investors involved in Westwood Forest over one million dollars. He is broke. It will be just a matter of time before Ronning loses all his properties,” wrote Gloria Dingee. Ronning said he was surprised that Conover read the letter aloud, since it had no bearing on the issue before the Town Board, which at that point was nothing more than a change in zoning rules. As Conover himself says, “the zoning change is not being undertaken on behalf of any particular project; we’re doing it to increase opportunities for appropriate development within the Town.” Nevertheless, Ronning would be its first beneficiary. “We’ve all felt the effects of the Sagamore closing for the winter, and a ski center might bring visitors back to Bolton in winter and be good for the residents as well,” said Ronning. According to Ronning, the ski area would consist of a 1,570 foot long double chairlift, a T-bar and a lodge. “We’re contemplating night skiing and summer activities that would complement the nearby Adirondack Extreme Adventure Course,” said Ronning. Snow could be made by drawing water from a nearby brook, an idea that Department of Environmental Conservation officials in Warrensburg found reasonable, according to Ronning. As many as fifty people would be employed every winter, said Ronning. But if he can secure at least some of the necessary permits, the investors will come, Ronning says. Bolton’s Town Board deferred its decision on whether to approve the zoning changes for another month, but Ronning said he remained optimistic. “I’d be unrealistic if I wasn’t concerned about how people’s views of me might affect this, but I hope that the Town Board, the Planning Board and the others will judge the project on its merits, not on what they might think of me,” he said. After the meeting, Ronning sought out Lake George Waterkeeper Chris Navitsky to show him the plans for the ski area. The Waterkeeper has brought several lawsuits against subdivisions planned by Ronning, and at times Ronning has publicly accused the Waterkeeper of deliberately attempting to bankrupt him. But on the surface, the two are cordial toward one another, as is often the case in small towns, even with the most antagonistic relationships. “It looks interesting, Rolf,” was the extent of his comments. Editors Note: The Lake George Mirror rents office space from Bell Point Realty, which is owned by Rolf Ronning. It’s so conservative it appears radical (at least for Lake George): small houses on small lots. According to Mary Alice Leary, that’s her family’s vision for the 14 acre parcel at the mouth of English Brook that will be divided into 13 lots. The sweeping lawn, tennis courts, lake front and clusters of towering trees, already mature when Albany lawyer Edward S. Rooney purchased the estate in the 1940s, will remain common areas owned by a homeowners’ association, which has yet to be created. Five of the lots will become the properties of Rooney’s children – Leary and her four siblings; the majority of the remaining lots will probably be sold to members of the next generation. For months, rumors have circulated around Lake George about plans to subdivide the estate, which surrounded a mansion built by E.M. Shepard in 1911 and demolished in 1961. It was generally assumed that as many McMansions as possible would be wedged into the grounds. To be sure, the proposal has been in front of the planning and zoning boards of Lake George Village and the Town of Lake George for months. And at one of those meetings, Mary Alice Leary’s sister, Ellen Breslin, explained that the subdivision was conceived so that the property could remain within the family for future generations. Nevertheless, said Leary, her family was reluctant to discuss the subdivision until all the necessary permits had been awarded. Not all permits have been granted, but one major hurdle, a permit from the Lake George Park Commission to build docks large enough to accommodate 13 boat slips, was surmounted last fall. There are no immediate plans to build the additional eight houses, Leary explained, because, as of now, only one of Edward S. Rooney’s grandchildren has expressed an interest in purchasing a lot. But that grandchild’s interest sparked the family’s discussions about how best to protect the property, said Leary. “You can only subdivide once, so rather than creating and selling one lot to one member of the third generation, we decided we would complete the subdivision now and sell the lots over time,” said Leary. “We currently hold the property as tenants in common, sharing expenses, and, by mutual agreement, each one of the five family members occupies a specific cabin that is considered their cabin,” the Lake George Park Commission was told by Ellen Breslin, who is the wife of State Senator Neil Breslin. All but one of those residences – the estate’s gate house – are log cabins. One of them once served as the estate’s bath house. Under the terms of the subdivision, each of the five families will become the sole owners of their homes, two of which are occupied year-round. The houses will also serve as the models for any new homes that are built, said Mary Alice Leary. “We’re envisioning Adirondack-style houses tucked into the woods with views of Lake George and English Brook,” said Leary. Leary said the family had rejected proposals from commercial developers interested in acquiring the estate, at least in part, from a concern for Lake George. That concern is a long-standing one, Ellen Breslin told the Park Commission, and guided the design of the subdivision. “We have always been good stewards of the land and have done what we can to protect the waters of the lake. There has been little or no change to the property in the 60 years we have lived here. No old growth trees have ever been taken down and no fertilizers have been used on any of the lawns. Maintaining the water quality of Lake George is our highest priority. Our family expects to be in residence on the property, swimming in and enjoying Lake George, for many years to come,” said Breslin. Not long after my father purchased the Warrensburg News and its old printing plant in 1958, he found in a box of papers a small booklet entitled “Guide to Schroon Lake and Vicinity,” with Marcus E. Granger listed as the author. The booklet had been printed in the shop eighty years earlier. Although numerous guidebooks to the Adirondacks had been published before Granger’s, his was unique in two respects. His was probably the first guidebook devoted to Schroon Lake. Dr. Durant’s Adirondack Railroad had been completed in 1872, and the station at Riverside, or Riparius, brought Schroon Lake within reach of tourists for the first time. Second, and even more remarkable, was the fact that it was written entirely in heroic couplets. » Continue Reading. At the time of her death at the age of 92 in April, 2008, Helen Thatcher Thomson was the steward of thousands of paper and glass negatives of photographs taken by her grandfather Jule Thatcher and her father Fred Thatcher. From the 1870s to the 1960s, the Thatchers photographed Lake George, documenting events great and small and capturing the changing social, economic and natural landscape. It was natural, therefore, that local historians feared the collections would be dispersed, scattered among hundreds of antique dealers across the country. But thanks to the generosity of Helen Thomson’s children, Fred Thomson and Dr. Patricia Smith, the entire archive will be donated to the Bolton Historical Museum. According to Stafford, the collection also includes cameras used by the Thatchers and well-maintained logs of assignments that can be used to identify almost every photo. According to Scheiber, the museum’s objective is to arrange for the photos to be scanned and catalogued. Revolving displays will feature large prints of some of the images, the cameras and biographical information about the Thatchers. At some points, prints may be made and sold and reproduction rights licensed to help fund the preservation of the collection, said Scheiber. The historical society also hopes to work with a publisher to produce a book of the Thatchers’ photographs, said Scheiber. “It would be a valuable contribution to the collective knowledge of Lake George’s history and help re-introduce the work of two of our greatest photographers to a wider public,” said Scheiber. “This collection will be an incredible asset for the Bolton Historical Museum,” said Bill Gates, a historian of Lake George and a member of the museum’s Board of Directors. Considered as a whole, the work of the two photographers constitutes a unique archive of Lake George history. Jule Thatcher’s best known photos are of Green Island, of the Sagamore, of wealthy cottagers like John Boulton Simpson and E. Burgess Warren, their houses, their families and their yachts. Fred Thatcher, whose studio was turned into the Sky Harbor restaurant at the corner of Beach Road and Canada Street, was a pioneering post card photographer, creating thousands of images of the lake, of boats and regattas and of visiting celebrities to be sold to tourists who came to Lake George in the wake of the wealthy cottagers. According to the Thatcher family, Jule Thatcher was born in Ticonderoga in 1856. He took his first photographs at the age of 11 (at about the same time Mathew Brady was photographing Abraham Lincoln) and at one point worked for Seneca Ray Stoddard. He worked in a store in Lake George that made tintypes and in 1874, he opened a studio in Bolton Landing. That studio was in the Kneeshaw hotel on Main Street. A few years later he opened a studio on the Sagamore Road, near the Green Island Bridge. He died in 1934. Fred Thatcher, born in 1881, married a Bolton native, Maud Abells, and settled in Lake George. Thatcher’s first studio was on the corner of Canada Street and McGillis Avenue, the second became Sky Harbor restaurant. Thatcher alao owned a stretch of lakefront property, which he leased to a flying service, later operated by Harry Rogers and George McGowan, Sr. Fred Thatcher died in 1969 at the age of 88. Last year, for the first time in decades, sales tax revenues in the Lake George region declined in every one of the year’s four quarters. Revenues dropped by as much as 15% over the summer. That’s not only an indication that resorts, restaurants and shops saw less trade in their busiest season than in years past; the drop in revenues left local governments scrambling to fill gaps in their budgets. According to Warren County Treasurer Frank O’Keefe, 1.5% of the 7% sales tax collected by New York State in the county is distributed to local towns. Lake George, Bolton and Hague represent approximately a third of the value of all property in Warren County, and the lion’s share of sales tax revenues are returned to those towns and to Queensbury, where more than 32% of the assessed value of the county is located. At the start of 2009, Warren County expected to receive approximately $45 million in sales tax revenues; instead, it received only $42 million, a drop of more than 8%, O’Keefe said. Newly-elected Town Supervisors in Lake George and Bolton now find themselves with less revenues, and less flexibility, than their predecessors had. The Town of Bolton received $3.2 million, approximately $333,000 less than it had received the previous year. “That could have been devastating,” said Bolton Supervisor Ron Conover, who said he had carefully observed the previous administration’s budget making process before he himself took office in January. “Whenever there’s a drop in sales tax revenues, there’s additional pressure on property taxes,” he said. While the town’s tax rate did rise by 2.5%, that increase was much less than one that hit residents of Lake George, where municipal taxes rose by 26%. Warren County estimates that Bolton’s share of sales tax revenues will rise in 2010, but Conover says the town will continue to follow a prudent course. “Sales tax revenues may rebound, although not to the historically high levels of the past; but if the economy picks up, it will take some pressure off the property-owners’ taxes,” he said. Although Bolton will watch its expenses, it will continue to maintain and improve its infrastructure of parks, beaches and public docks, said Conover. “These are assets that we need for economic development and tourism,” Conover said. The market for recycled paper and plastic also crashed, costing the town another $100,000 in revenues, said McCoy. But those losses in revenue were not wholly responsible for the 26% increase in property taxes, McCoy said. For the past several years, the town had drawn from its reserves rather than raising taxes; by mid-2009, those reserves were all but exhausted. The increase in property taxes will enable the town to rebuild its reserves, McCoy said. No reductions in the town work force are planned, said McCoy. Any new positions would be part-time posts, he said. 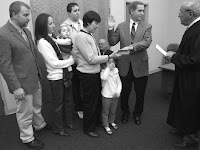 Photo: Newly-elected Bolton Supervisor takes the oath of office with his family at his side. “Hall’s Boat Corporation is not just a center for wooden boat conservation, but a center for wooden boat lovers,” says Steve Lamando, the owner of the historic Lake George marina. Every month, Reuben Smith, who oversees wooden boat building and restoration at Hall’s, offers free wooden boat clinics, and every summer members of the Antique and Classic Boat Society (based in Clayton) gather at the marina for receptions and banquets. Hall’s staff reaffirmed its commitment to the preservation of wooden boats and to those who prize them in mid-November, when it hosted a tour of the Adirondack Museum’s boat collections with curator Hallie Bond. “Reuben Smith, Hallie Bond and I were talking about how we could foster a stronger relationship between Lake George and the Adirondack Museum, and we decided this trip would be a good start,” Lamando said. Hall’s Boat Corporation views the museum as an educational resource, said Reuben Smith, whose father, boat builder and novelist Mason Smith, is married to Hallie Bond. “It’s a resource for our customers, for our wooden boat builders, and, as we develop into an educational center, for students,” added Lamando. In addition to telling the stories of how people lived, worked, relaxed and made art in the Adirondacks, the Adirondack Museum is, Bond said, an “inland maritime museum,” a fact made evident in the lobby itself, whose focal point is an Idem class sloop, built in the early 1900s for racing on the St. Regis Lakes. Bond’s tour began in the building housing the museum’s boats and boating collection. Naturally, the collection is dominated by Adirondack guide-boats, those light-weight, portable boats indigenous to the region, which also happen to be one of the region’s greatest contributions to civilization. But Adirondack boating is not limited to guide-boats, as Bond’s tour made clear. The collection includes, for instance, the kayaks and canoes whose near-universal popularity began with the American Canoe Association’s gatherings on Lake George in the 1880s, which the museum highlights in one of its exhibits. Some thirty or forty canoeists attended the first Canoe Congress on Lake George and virtually every type of modern canoe was represented; canvas, wooden, clinker-built and smooth skinned; some were decked and sailed. There were contests for racing, paddling, sailing, and dumping, the latter being a contest in which the canoeist paddles out to and around a stake boat and on the return, at a given signal, dumps his canoe, rights it, and gets back in. The prize for winning a race open to canoes of all types was a canoe built by St. Lawrence River boat builder John Henry Rushton. Rushton saw the Lake George congress as an opportunity to attract new business and develop new ideas. One of those ideas came from Judge Nicholas Longworth, who wanted a better sailing version of Rushton’s Rob Roy, the decked wood canoe whose design was derived from the kayak. The result was the Diana, a Princess type of sailing canoe, commonly regarded as one of Rushton’s most beautiful boats. The Diana is also on exhibit, in a display called the “Poor Man’s Yacht.” On top of the Diana is a striped, cotton canvas canoe tent, also from Rushton’s shop, demonstrating how the canoes were used not simply for cruising, but as portable camps. At about the same time that he was building boats for the founders of the American Canoe Association, Rushton built the first of several lightweight canoes for George Washington Sears, whose articles in “Forest Stream” published under the name of “Nessmuk” would popularize both wilderness paddling and Rushton’s own canoes. The most famous of those canoes, the Sairy Gamp, is also on display. 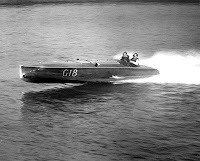 Bond was responsible for persuading author Christine Jerome, who retraced Nessmuck’s route through the Adirondacks in 1990, to use a Kevlar replica of the Sairy Gamp made by local boat builder Pete Hornbeck. That boat, too, is on display. The group then examined George Reis’s El Lagarto, the Lake George speedboat that won Gold Cups in 1934, 1935 and 1936, before entering the museum’s storage facility. The museum owns more than 200 boats, only a portion of which can be displayed at any one time. The rest are stored in the Collections Storage and Study Center, located near the museum but difficult to find. “We didn’t want it to be too conspicuous,” said Bond. The facility contains boats too large to be displayed, such as the beautifully restored 1927, 30 ft Fay and Bowen runabout that once belonged to Camp Echo on Raquette Lake, as well as boats that may never be restored but are preserved for research. Those boats include a Lake George rowboat built by Henry Durrin and the Hornet, a 28 ft ice boat built on Lake Champlain and brought to Lake George in the 1930s, as well as Merle and Elisabeth Smith’s 23 ft long Yankee class ice boat built by John Alden Beals. Bond also showed the group a boat that I’ve waited years to see, less for its aesthetic qualities than its historical interest: a fiberglass guide-boat built in the Adirondacks in the early 1960s. By the 1960s, it appeared to many that the only way to ensure the survival of the Adirondack guide-boat was to turn to synthetic material. At the time Gardner was writing (the piece appeared in the Maine Coast Fisherman) the only wooden guide boat maker still working was Willard Hanmer. A year earlier, Tom Bissell opened the Bissell Manufacturing Company in Long Lake to make what he called Adirondack Fiberglass Boats. He had grown up with guide boats made by one of the region’s most renowned guides and boatbuilders, Warren Cole. His grandfather opened a Long Lake hotel called Endion in 1888 across the lake from Cole’s boat shop; where his father spent hours as a young boy watching Cole work. He still owns one of Cole’s boats purchased by his grandmother in 1900. Bissell bought the fiberglass boat company from Fox Connor, whose family owned one of the region’s oldest great camps and was who manufacturing them in Ossining at the family-owned Allcock Company, makers of have-a-heart traps. Their model, which Bissell continued to make, was based on a boat designed by Wallace Emerson for fishermen in Connor’s family. Bissell, now in his seventies, a retired school teacher and former supervisor of Long Lake, left the guide-boat business early, despite support from Gardner and people like Kenneth Durant, who devoted the second half of his life to researching the history of the guide-boat. At the time, Bissell recalled, working with fiberglass posed health hazards. But his effort kept the guide-boat alive as a functioning vessel rather than just a museum piece, and helped ensure that people were still rowing them when young craftsmen like Reuben Smith’s father, Mason Smith, and his uncle Everett Smith emerged to revitalize wooden boat building. The Adirondack Museum’s collection of guide-boats played no small role in that renaissance, and according to Reuben Smith, it remains a source of inspiration for builders – and future owners – of boats of all types. Enter the Hyde Collection’s Charles R. Wood Gallery, where the stunning new exhibition, “An Enduring Legacy: American Impressionist Paintings from the Thomas Clark Collection,” is displayed, and among the first things you’ll notice is that the paintings are grouped roughly by geography, or according to the regions depicted by these early 20th century artists: the New England coast, Vermont, the Hudson Valley, California. Far from being arbitrary or eccentric, that curatorial choice cleverly elucidates an intention shared by almost every artist represented in the show. To realize that ambition, those artists were compelled to train their eyes on a particular region, if only because the American landscape is defined by its diversity and lack of uniformity. An American landscape is necessarily a local landscape. “The works in the Clark Collection offer a comprehensive treatment of these regional schools of Impressionist activity in America,” says Coe. 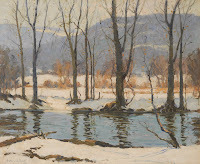 For instance, the show includes three paintings by Arthur James Emery Powell (1864-1956) of the long-settled, deeply cultivated valleys of Dutchess County. All three portray winter landscapes, for reasons at least partially explained by Coe in a lecture she delivered at The Hyde on January 17. Winter landscapes, she said, are “the visual equivalent of a poem by Robert Frost,” that most self-consciously regional of American poets. Approximately one quarter of the paintings collected by Thomas Clark are winter landscapes, Coe noted, in part because winter is the quintessential American season. Perhaps it’s co-incidental that Dutchess county was a hotbed of anti-federalism in the 18th century, and that places like Vermont, New Hampshire and Massachusetts have shown separatist tendencies at different times in our history. It’s no co-incidence, though, that the artists included in this exhibition chose to paint in places with strong regional identities. The landscapes these artists selected for their subject matter were chosen in part because they exemplified a region’s characteristic and recognizable qualities. 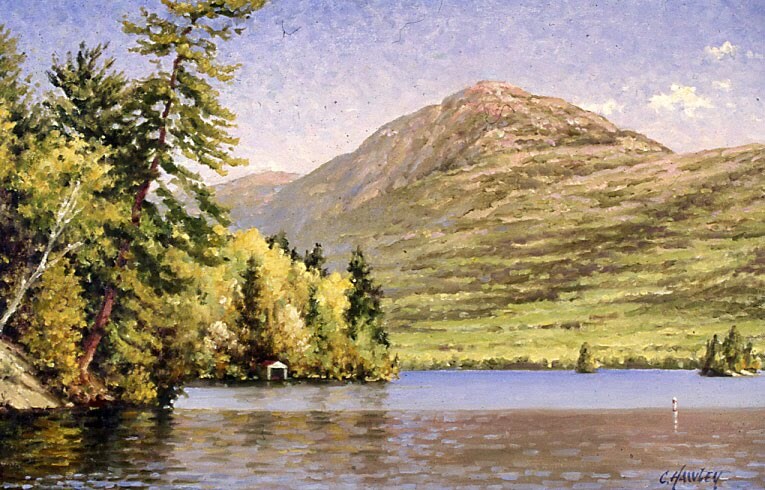 But of equal, if not greater importance, Coe said, those landscapes were the locations of artists’ colonies that flourished in the early part of the 20th century in places like Old Lyme, Connecticut; Cape Ann, Massachusetts; New Hope, Pennsylvania; and Woodstock, New York, as well as in Vermont and California. The traditions of European and American painting were transmitted through those colonies and schools, producing the unique vision that is embodied in Clark’s collection. “These artists were the students and sketching partners of the seminal figures in the development of Impressionism in America, such as William Merritt Chase, Willard L. Metcalf, John Henry Twachtman, and Robert Henri,” Coe said. Thomas Clark, who lives in Saratoga County, has promised to donate this collection of paintings to The Hyde, and this exhibition is to some extent a celebration of that gift. “An Enduring Legacy: American Impressionist Landscape Paintings from the Thomas Clark Collection,” will remain on view at The Hyde through March 18. The Hyde Collection is located at 161 Warren Street in downtown Glens Falls. For more information, call The Hyde at 792-1761.